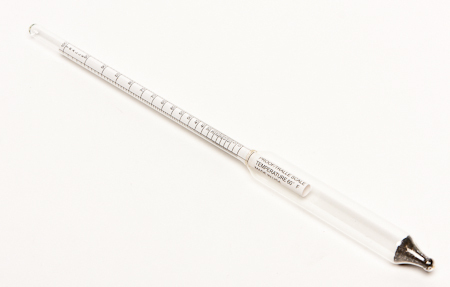 Proof and Tralle Hydrometer - F.H. Steinbart Co. Measures Proof – 0 to 200 and Tralle – 0 to 100% alcohol by volume in a solution of alcohol and water. These hydrometers will not read acurately in a sweet spirit.